Safe Lifelong Supplements™...live well and healthy! 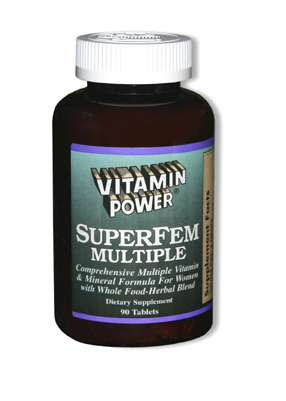 High Quality Vitamins and Supplements! Consumer Information! Advanced Omega-3 Fish Oil Formula - Free Bottle Offer. Try Now for only $4.95 (S&H). Optimum 100% Whey Protein- Bodybuilding.com's #1 Supplement and Protein Powder, 3 straight years! Lifelong Health Products.com (LifelongHPTM) is dedicated to "enhancing quality of life through nutritional supplements". We believe that nutritional supplements hold enormous promise for optimum health and wellness. Our goal is simple - to earn the trust of our customers by being reliable in word and health products; providing clear, concise and complete information about our nutritional supplements and natural health products to enable you make informed decision. We realize that consumers are often confused about making healthy choices given the vast array of food choices, the many possibilities for supplementation to curb nutrient deficiencies and diseases, and the overwhelming task of sorting through the maze of health information. To this end, we offer product category knowledge base and health research platform containing latest research developments on safe lifelong supplements to increase your knowledge of scientific findings/news on specific products. For easy guide, use the site map. At LifelongHPTM, we believe knowledge is empowering - knowledge about healthy nutrition and latest research and benefits of nutrition supplements (e.g. fiber,calcium, vitamin D, omega-3), natural products, safe lifelong supplements™, healthy oils (e.g. omega-3 sources), vitamins, herbal supplements, antioxidants, protein supplements, meal replacements as related to weight loss, heart health, diabetes, and wellness. Also, see links to safe lifelong supplements™ news, nutrition and health information. We believe that the best way to responsibly serve our customers is to remain up-to-date with scientific developments in nutrition supplements, fiber and herbal supplements, and other health products so as to provide you with "clear and concise" information about specific products. SIGN UP FOR OUR LIFELONG SUPPLEMENTS™ e-NEWSLETTER! or PARTICIPATE in BLOG.LIFELONG SUPPLEMENTS! Deficiency in vitamin D can lead to autoimmune, infectious and cardiovascular diseases and is also associated with an increased risk of Type 1 diabetes, multiple sclerosis, Crohn's disease, common cancers and hypertension. People get vitamin D from sun exposure, diet and supplements. Yet vitamin D deficiency is all too common. Give your health a boost with safe lifelong supplements™! About 24 million people in United States suffer from diabetes (~8% of the population); 2007 total costs estimated as $174 billion (direct & indirect cost), of which $116 billion was direct medical costs (CDC 2007 National Diabetes Fact Sheet). Whole Health Products, exclusive supplier of DiabetesHealth diabetes management formula. Safe Lifelong Supplements™...live well and healthy! Save up to 31% on Nattokinase and high potency Nattokinase Plus.